If you’re an entrepreneur, you’ve likely gone into business for various reasons ranging from purpose, passion to problem solving and so on. There are parts of your job that you undoubtedly love, even if the tasks would make others run for the hills. That said, I guarantee that diving into the nitty gritty of contract details is most definitely not one of those things. But the truth is contracts can not only make or break a deal—it can affect everything from recurring revenue to your business valuation. 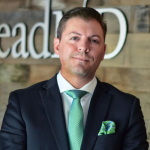 LeadMD CEO Justin Gray is a serial entrepreneur with several businesses under his leadership. One of his companies was recently acquired and he learned the hard way how contracts are viewed and evaluated during the sale of a business. In his most recent Inc column, Justin lays out what he wishes he knew in advance, the lessons learned and tips for readers considering prepping for a sale. Read more here.